There are a lot of ways to get free products to test out and keep. Most of the companies that offer opportunities to do this do not ask for anything in return apart from a written review, social media share, or simply sharing the product with your friends. If you have been following on my Twitter, Instagram or Facebook you would have seen that is a fun past time I do when I have a few minutes here and there of down time. Sitting watching tv or just in the car while my husband drives us places. Below you'll find a big list of sites you can sign up with for product testing. So many of you have asked me to share where do I get all of the free stuff I post about and most of the time it is not just sent to me for free usually I have to take a hour or so take picture edit and post the goodies I find with some kind of creative story of how I personally enjoy or not enjoyed the products. Yes sometimes company's will ask what you don't like about their stuff to help them improve. If you want the max amount of opportunities, you should definitely sign up with more than one! None of these cost anything to join. However, getting products to test isn't always a guarantee since competition for various product offerings can be strong. There are a million or so influencers doing the same exact thing you have to show how you will stand out from the crowd. Other times it is as simple as singing up and waiting (forever) for something to arrive in your mail box. Here is my Instagram feed it shows all of the photos of the products I get in the mail. I might consider adding them to my blog in the future if they are fitting such as family friendly products, kid products or family friendly products and services. I have gotten a few request to advertise on my website I am considering it. Here is my Instagram if you want to consider me to test some products out. 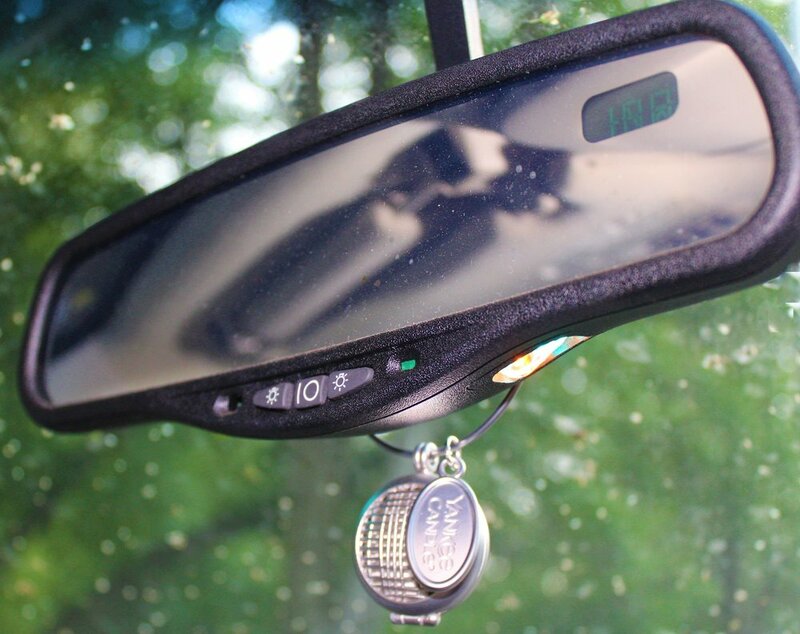 photo of the current product I am testing out from Bzzagent it's a Yankee Candle charm for the car it has Lavender Air freshener sent that makes the car smell Amazing when the car is warm. Perfectly sits on the mirror and out of the way so it dose not distracts. I think it looks cute up there. My husband even likes it and wants to know where I can buy refills. BzzAgent – I have experience with this one. I've tested BurtsBees and even My littlest Pet shop pets among other things. Influenster – – Every month or so they release something called a “Vox Box” full of full-sized products. In exchange for receiving it (if you're lucky enough to be selected to get it), you have to review and share the products across social media. I have used them for years since 2012 over the past few years I have been to old for most of their campaigns I am 35 they are looking for the college age crowds. I still get vitural boxes and chances to win stuff but I haven't gotten anything big from them in a while. Mom's Meet – You can become a “mom ambassador” for Mom's Meet. This is mostly testing green, all-natural products. This one so far is one of my favorites. Pinch Me – Read Review – Sign to up to receive free samples to try. What they have changes frequently and samples have been going fast, so you'll need to be quick. When you sign up, they send you a confirmation code via your mobile phone that you'll have to put in to get your account active. Every single Tuesday you have to check their site around 12 in order to get sample box. I don't get anything major but I have gotten snack food samples. She Speaks – I have tested a few things and even been a blogger influenster She Speaks. They are great! Smiley 360 – Smile.ly sent me a few different items over the past few years. Swaggable – This is a great product testing site with lots of products to choose. You add things you'd like to test to your “want” list, but you're not guaranteed to get them. Be sure to leave reviews on the things you test to increase your chances of getting in on future product tests. As a mom and adult living with this genetic disorder a lot of people wonder what I do when it comes to taking care of my family. One of the adult life skills I love to show everyone is how to cook different meals. Cooking is a hobby of mine. Cooking allows me to put to use the mindfulness practices I learned in therapy and I can do one thing at a time. Cooking helps slow me down and put me in a calm state. The cleaning up after the cooking not so much. Here is our family's favorite recipe I have been dubbed the turkey cooker for the house because my husband said mine turns out better then his. I personally think he just enjoys not cooking but I enjoy cooking so it works for our family that I make the turkey. make sure you clean out the insides and remove the gizzards and the neck put that stuff aside. I'm never sure what to do with those they usually go for a turkey soup later left over turkey. Step 1: Make the Brine. One day before roasting turkey, bring 1 quart water, the salt, bay leaves, and spices to a simmer, stirring until salt has dissolved. I love using a low sodium soy sauce and I use sea salt in the water. Step 4:place the turkey into a roasting pan in the oven on the bottom rack. chop up onions, carrots and celery to make a french pois (that's what I leaned in my cooking class while I attempted college one year taking hospitality and tourism administration I had a cooking class and learned soups and stocks. One was a meri pois. I am spelling that way wrong but it is a cheese cloth bag with onions, carrots and celery. I don't use the cheese cloth and just add in turkey bone broth to the bottom of the pan to allow the carrots, onions, celery and potatoes to roast. I just diced up the potatoes into cubes and wash and toss them in the pan enough to fill up the pan but not over stuff the sides and inside the turkey. rub butter on the top and insides and make sure to get the wings and legs so you don't have burnt turkey. break time for 15 minutes or not but make sure to wash hands at least. turn the oven on to 325 f and let it cook for 5 hours or one hour per pound. Turkey is done when thermometer reads 165°F and drumsticks move easily when lifted or twisted. If a meat thermometer is not used, begin testing for doneness after about 3 hours. When turkey is done, place on warm platter and cover with aluminum foil to keep warm. Let stand about 20 minutes for easiest carving. My turkey looks like this when it is finished. If you made turkey following this recipe let me know in the comments below. Don't forget the sweet potatoes pie and mashed potatoes and gravy. Have a wonderful Thanksgiving everyone.